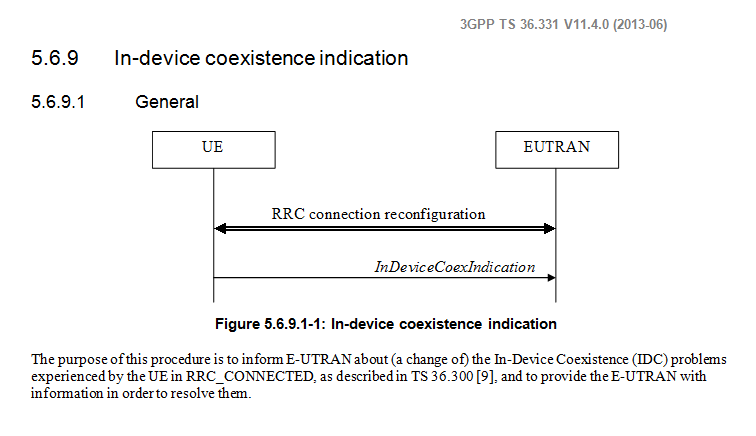 In order to allow users to access various networks and services ubiquitously, an increasing number of UEs are equipped with multiple radio transceivers. For example, a UE may be equipped with LTE, WiFi, and Bluetooth transceivers, and GNSS receivers. 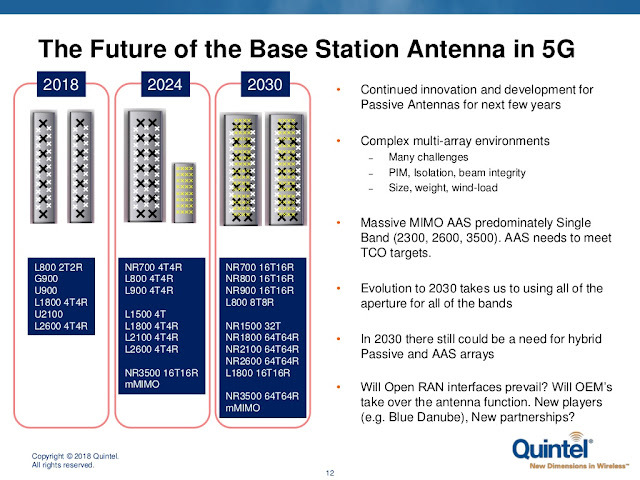 One resulting challenge lies in trying to avoid coexistence interference between those collocated radio transceivers. Figure 4-1 below shows an example of coexistence interference. 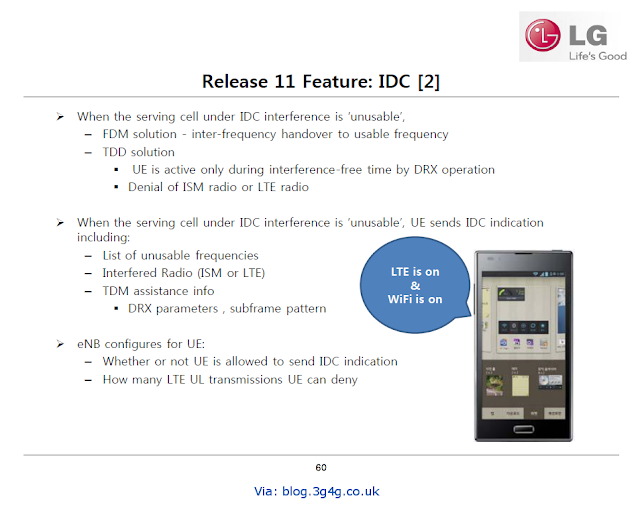 3GPP initiated a Study Item (SI) in Release-10 timeframe to investigate the effects of the interference due to multiple radios and signalling. 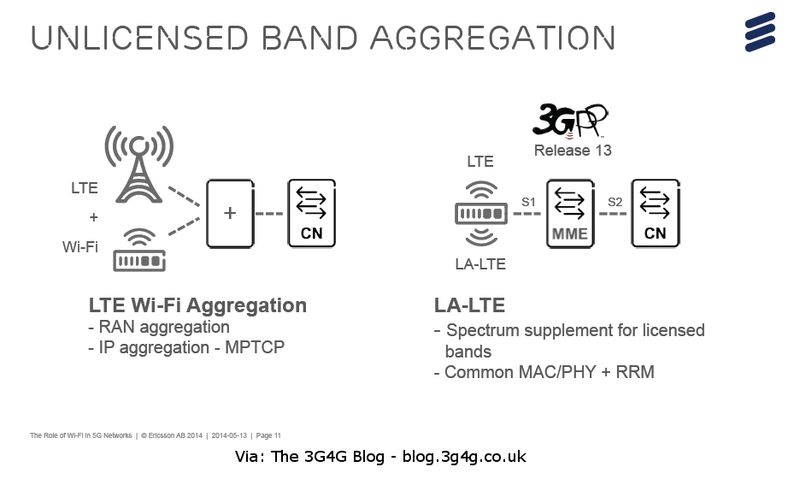 This study is detailed in 3GPP TR 36.816 (see link at the end). 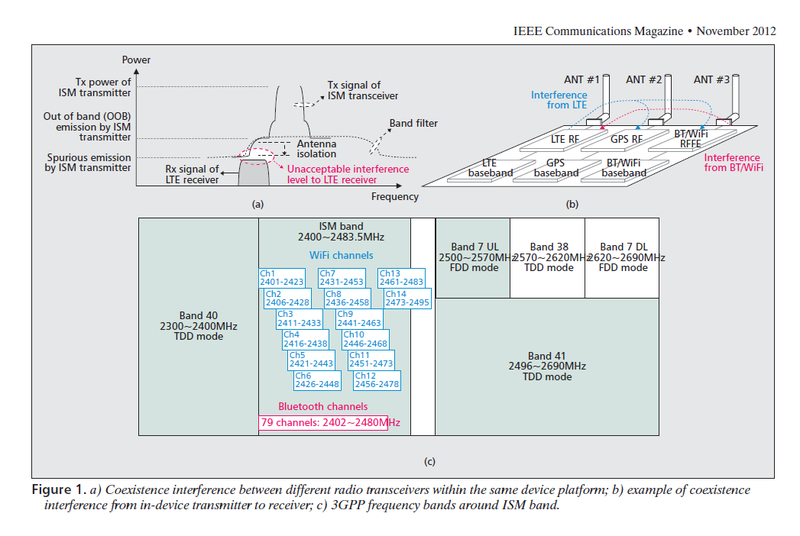 Due to extreme proximity of multiple radio transceivers within the same UE, the transmit power of one transmitter may be much higher than the received power level of another receiver. 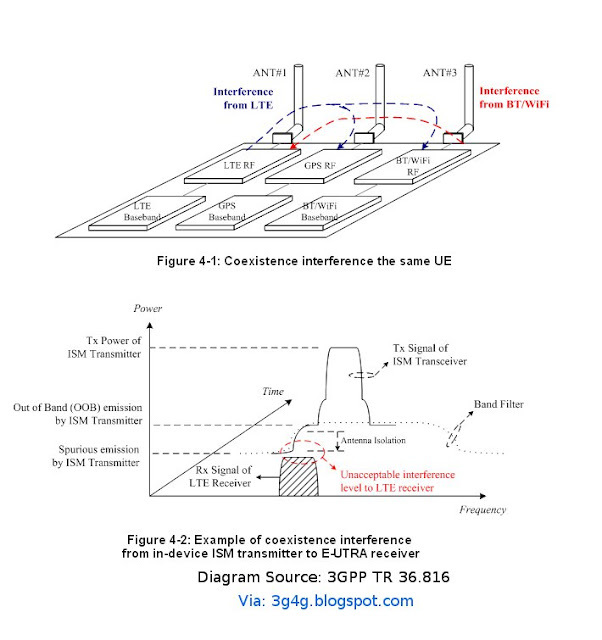 By means of filter technologies and sufficient frequency separation, the transmit signal may not result in significant interference. But for some coexistence scenarios, e.g. different radio technologies within the same UE operating on adjacent frequencies, current state-of-the-art filter technology might not provide sufficient rejection. Therefore, solving the interference problem by single generic RF design may not always be possible and alternative methods needs to be considered. An illustration of such kind of problem is shown in Figure 4-2 above. - Case 4: LTE Band 7/13/14 radio Tx causing interference to GNSS radio Rx. The SI also proposes some ways of reducing the interference and is work in progress at the moment. 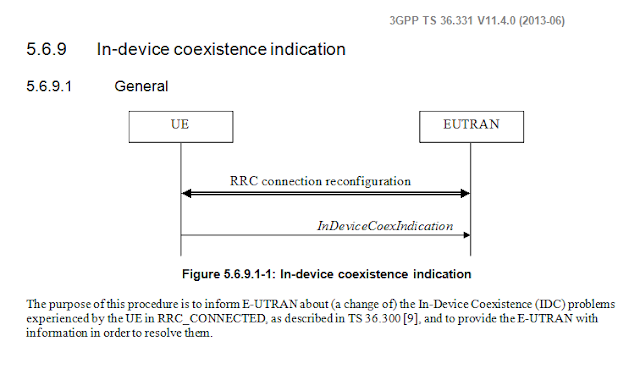 Reference: 3GPP TR 36.816 : Study on signalling and procedure for interference avoidance for in-device coexistence; (Release 10).